This photo was taken a few years ago in the grass play yard at JDPC. I’ve always loved it because it is one of those pictures you can’t believe you got. 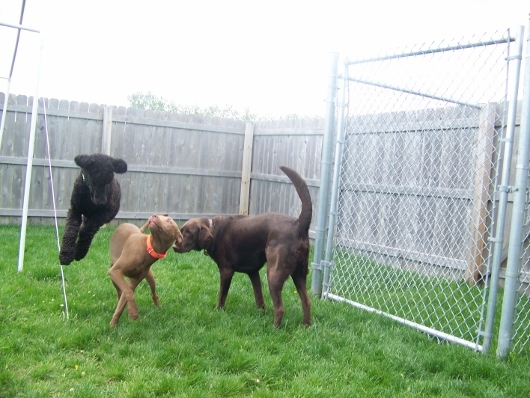 Daly, the black poodle jumping over Boomer, the pitbull, is shown just as who he was at that age: energetic, fun, and often with at least two feet off the ground! Wrecks, the chocolate lab, doesn’t seem as concerned as Boomer is that Daly is flying. Maybe because of his size, he doesn’t worry. We produce a calendar every year highlighting some of our best dog photos, and this one definitely made the 2012 edition! We also share a lot of photos on our Facebook page https://www.facebook.com/pages/Just-Dogs-PlayCare-Inc/ to mark milestones like birthdays or first days at doggie daycare. But in between, we get a lot of great photos that we don’t have a chance to share with the public. That’s why we’ve decided to launch the Best Dog Photo of the Week on our Doggie Blog. Each Friday we will post what we feel is the best photo we have taken that week. 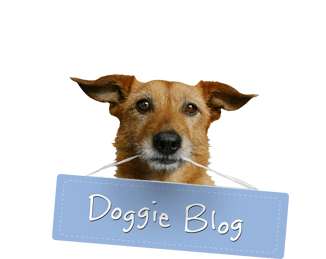 We also invite you to post links to great dog photos you like! At the end of the year, we will try to pick a winner for Best Dog Photo of the Year! Man, that’s going to be tough!